This is a home study booklet designed to accompany the online course. 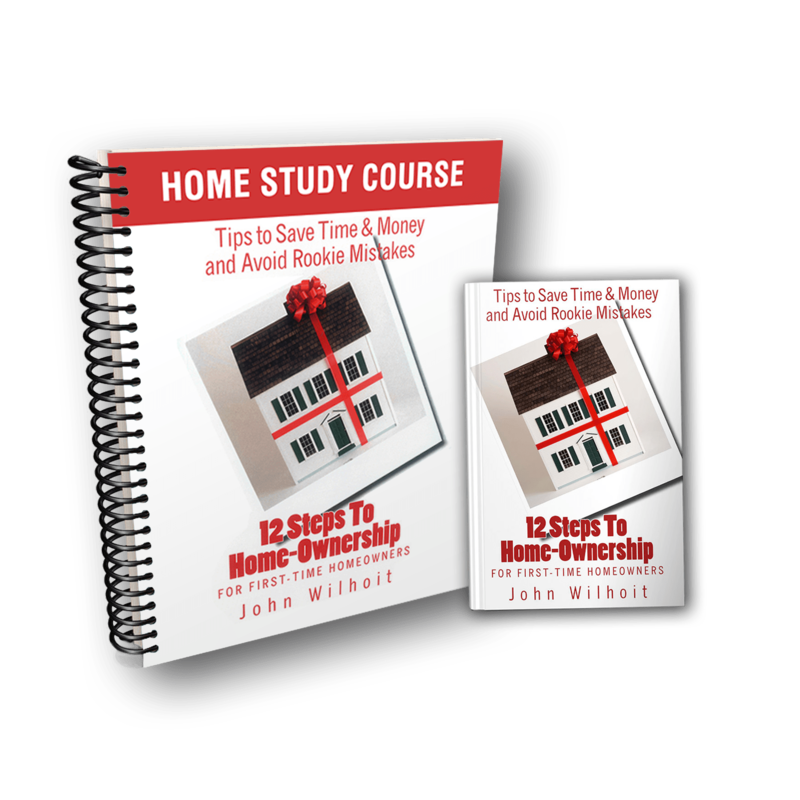 Also included, a free copy of 12 Steps to Home-Ownership by John Wilhoit. 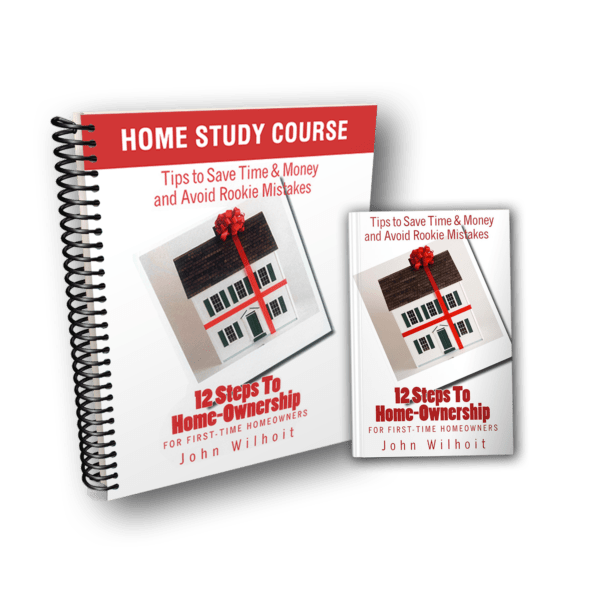 Purchase the 12 Steps to Home-Ownership home study course with a home study course booklet and a free book.